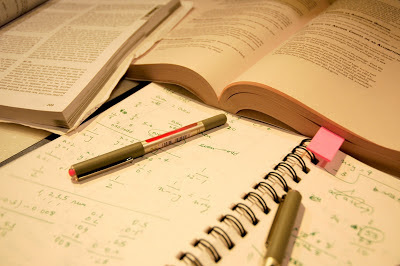 Eduloan Blog: Getting ready for matric exams? Focus on time management! Compile a study schedule. Plan your time in advance and be realistic. Everyone is different so there is no prescribed schedule, but make sure that you don’t start too early and risk burning out, or start studying too late and then run out of time to prepare sufficiently. Listen to your body clock, this will allow you to establish when you should be studying (during the day or at night). You have to break up your studies to make sure you are concentrating and it is also good to work towards a goal and then to reward yourself if you do. Get your hands on a study guide. A study guide is also a good resource to getting insight into the way questions are asked. Study guides sum up the curriculum pretty well and often include sample questions after each chapter. Chat to your teachers about where you can get these. Start a study group. By setting up a time to meet you study towards a deadline. Whether you give each member in the group a topic or whether you use the group to discuss certain topics, it is a good way for you to alternate your study schedule and gain additional knowledge from others as well. Ask friends and family for past papers. You can also buy these online or from various book stores. Past papers are great for getting used to the way in which certain information is questioned in exams. Practice these to test your knowledge and to make sure you are not caught off guard just because a question is posed in a different manner. Select your study space carefully. Whether it is at a library, at home or in an empty class room at school, make sure that you have all the resources and textbooks at hand so that you do not have to interrupt your studies. It could be a good idea to make sure that your study location is quiet and that you won’t be interrupted by family members, loud noises or peers. Ask questions. Don’t be afraid to ask your teachers questions. Many teachers will give you time to ask them questions or to attend additional revision classes. Make use of this resource! Make sure you complete any administration requirements like tertiary applications and student loan applications well in advance of your exam period so that you are not distracted or unnecessarily stressed. Keep in mind that most universities and colleges open applications in April and some close as early as 30 June. You do not have to wait for your preliminary exam results as many of them only accept your grade 11 end-of-year exam results. You can also apply for your study loan early to make sure all your focus is exactly where it should be – on passing your Matric exams. For more information and to speak to one of our Eduloan consultants, visit our website (www.eduloan.co.za), like our page on Facebook (www.facebook.com/EduloanSA) and follow us on Twitter (@EduloanSA).